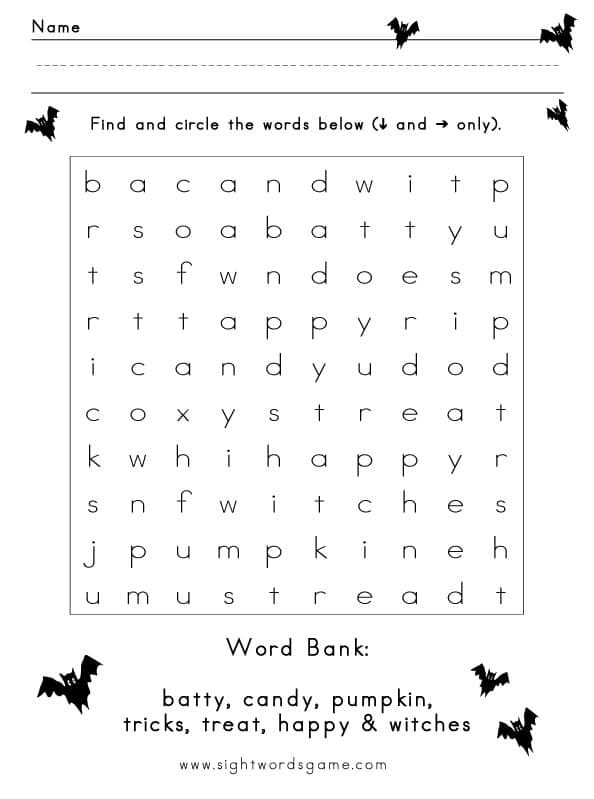 We created an easy word search that combines both Halloween items and word families – quite a combination. 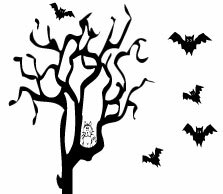 Point out which words rhymes and generate additional ones, e.g. mat, sat, that, you, do & to. Using these words, make up silly sentences. 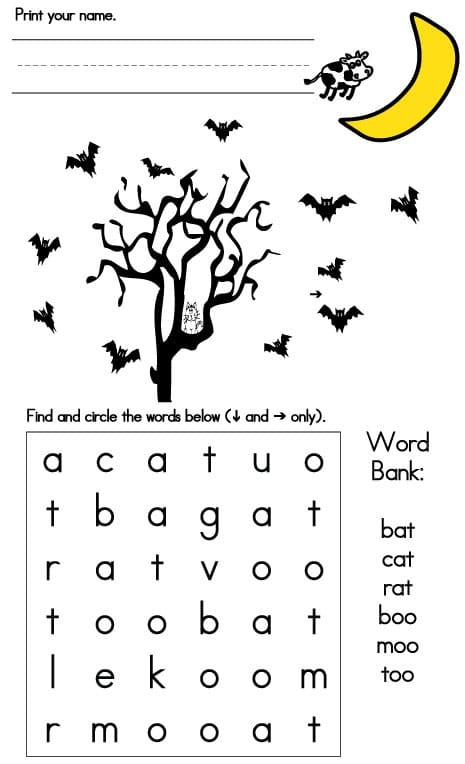 The word search below uses a teacher’s font that forms each letter using a font a child is most likely to recognize. It is important to note that a child will need to learn both fonts. For example, the letters “a” and “g” have different lowercase print styles. Depending upon your computer settings, the word search below will be presented using your default font. Five words are from left to right – just like we read! One word is vertical on the grid.